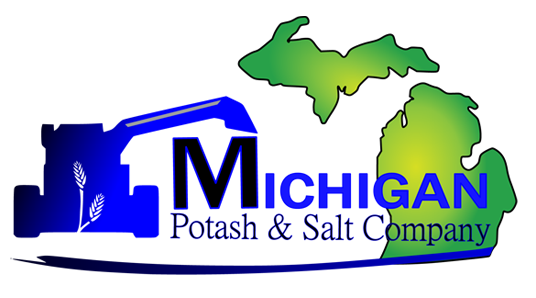 (July 25, 2018) Michigan Potash Company, LLC (“MPC”) Michigan Potash Company welcomes Mr. Clay M. Gaspar. Mr. Gaspar is currently President and Chief Operating Officer at WPX Energy, Inc (NYSE : WPX ). Clay has been instrumental at WPX, implementing widespread change associated with a $7 billion portfolio transformation that has made WPX an emergent, nibble leader in natural resource development and a part of the United States’ dramatic shift to energy independence. “Our operation is more akin to energy development then conventional mining operations. Clay is a well-respected industry leader, with sound decision analysis and immediate experience in materializing similar projects to cash flow with state of the art technology,” commented Theodore Pagano, CEO of Michigan Potash. Clay Gaspar joins Angelo Brisitimakis, the former CEO of Compass Minerals, the US’ largest publicly traded company of both specialty potash and salt. “Clay’s business savvy and leadership will be instrumental in facilitating a successful answer to the recent US Government call to increase domestic potash production and alleviate the current import reliance. His executive leadership will help us successfully transform Michigan’s unique asset and infrastructural strength into new GDP while becoming the United States’ only material and sustainable supplier of muriate of potash,” continued Theodore. Previously, Clay served as Vice President for Newfield Exploration Company, and prior, spent 16 years with Anadarko Petroleum Corporation holding positions as General Manager of Investor Relations, Business Advisor, and General Manager. Clay is a Registered Professional Engineer with a Bachelor’s degree in Petroleum Engineering and Master’s degree in Petroleum and Geosciences Engineering. Michigan Potash Company, LLC is a private, US-based potash and salt company responsibly controlling over 150 million tons of recoverable potassium K2O product in the US cornbelt, leading America into a new era of sustainable, low cost, domestic potash production. The company is also planning to produce high grade saleable salt which will provide revenue streams that offset operating costs, which are already the world’s lowest net delivered to the cornbelt. Michigan Potash Company, LLC has engaged PricewaterhouseCoopers Corporate Finance LLC as its exclusive financial advisor.